In this age of social media, people discuss practically every detail of their lives—their weight, the state of their love life, and even negative information about their jobs. But people still struggle when talking about money—in particular, their own difficulties staying afloat financially. At Nowack & Olson, we hear from many people who are afraid to file for bankruptcy because they do not want anyone to know. However, there is nothing to be embarrassed about. Instead, follow these tips for keeping your chin up during the bankruptcy process. Emphasize what you have learned about money management. For example, you can let them know that you have managed to pull your credit score up by 100 points by using credit responsibly. Don’t get defensive. The more comfortable you are talking about the bankruptcy, the more comfortable an employer will be hearing about it. It is possible you might lose out on a job because of the bankruptcy, but comfort yourself by realizing that its impact should disappear slowly over time. Over the next couple of years, you can pull your credit score up dramatically. 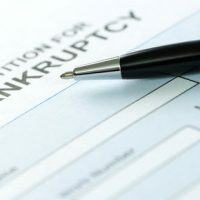 Bankruptcy laws have existed for hundreds of years and are designed to help people get back on their feet. No one should suffer indefinitely because of debt. Many of this country’s Founding Fathers were bankrupt. It can happen to anyone. You are putting in place a game plan so that you don’t suffer financial difficulties again. For example, you might be working extra hours to build up an emergency fund. No one is perfect, and anyone who tries to shame you for filing bankruptcy is probably not someone who has your best interests at heart. Financial difficulties often strike out of the blue. One day you can pay all your bills, and the next day you can’t. Rather than fall further and further behind, you should consider whether bankruptcy will help you get the fresh start you need. At Nowack & Olson, we have built our reputation as the “go to” firm in Southern Florida by treating our clients like family. To schedule your free, no-obligation case evaluation, please contact us today.